Technically, this isn't week one. You could say that I've been training for the B2B since I signed up on New Year's Eve. But, this week marked a new beginning. I took two weeks off after Raleigh 70.3 to reflect, recover and renew my body. It was a tough race [There will be a race report, I promise.] I spent some time playing - my swims and bikes were more for fun - not training. I ran once in those two weeks. I spent a few days with the post-iron blues and then even more days with the half iron pride. I recharged my brain, too. I'm reading non-sporty books and magazines like Pat Conroy's My Reading Life and Garden & Gun. This week kicks off a new adventure. For starters, I'm working with a coach full time! 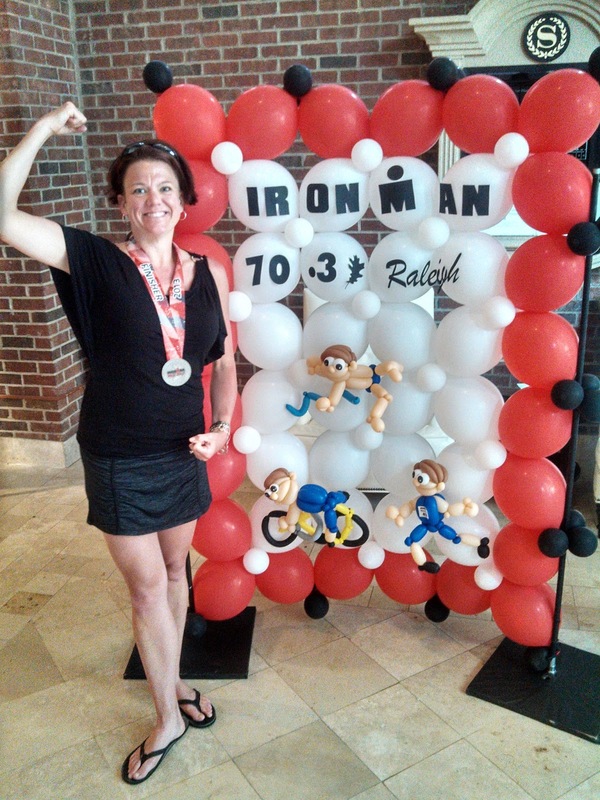 Back in January I joined TriStacey Coaching's Try-It program for Raleigh 70.3. Stacey Richardson set up a plan for athletes wanting a glimpse of her coaching. Each month, I received guidance and feedback on my planned workouts and a weekly chat to keep me on track. It was a success to say the least! 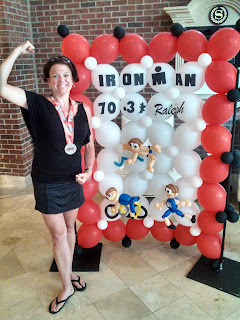 I PR'd in my 5K and 10K races in the past six months and on June 2, 2013 I rocked Raleigh 70.3. For B2B, I'm working with her full-time. For the first time in a long time, I'm not using a plan out of a book. I'm trusting her with all my training. My first workout was an in-depth assessment and discussion about my goals, my medical history, my strengths and weaknesses and even my equipment and how all of that plays into my training for 140.6 miles. I'm excited to see what happens. This week, she posts all my workouts on my TrainingPeaks calendar. In turn, I post all my data (splits, heart rate, comments on how it feels). She sees what I'm doing - how I feel and perform and adjusts and tweaks my plan accordingly. So far this week, I've already done a two-mile open water swim (the B2B course backwards! ), a breakthrough run (a fartlek ladder) and two VERY wet bike rides. Yesterday I came home soaked to the core. One of the lessons Stacey taught at triathlon camp this spring: train harder than you race. You never know what the conditions will be on race day - so be ready for anything. Yesterday, I showed up to a group ride - and only one other person showed up! We did 44 miles in what felt like a tropical storm: 10mph winds with occasional gusts and walls of water. On the way out of town, the rooster tail of water off the bike in front of me either landed in my shoe or on my face. My nutrition: Amino Vital, an Island Nectar Rocktane Gel and dirt. Gross. Stick around for more adventures!